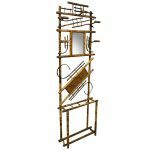 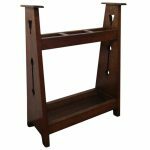 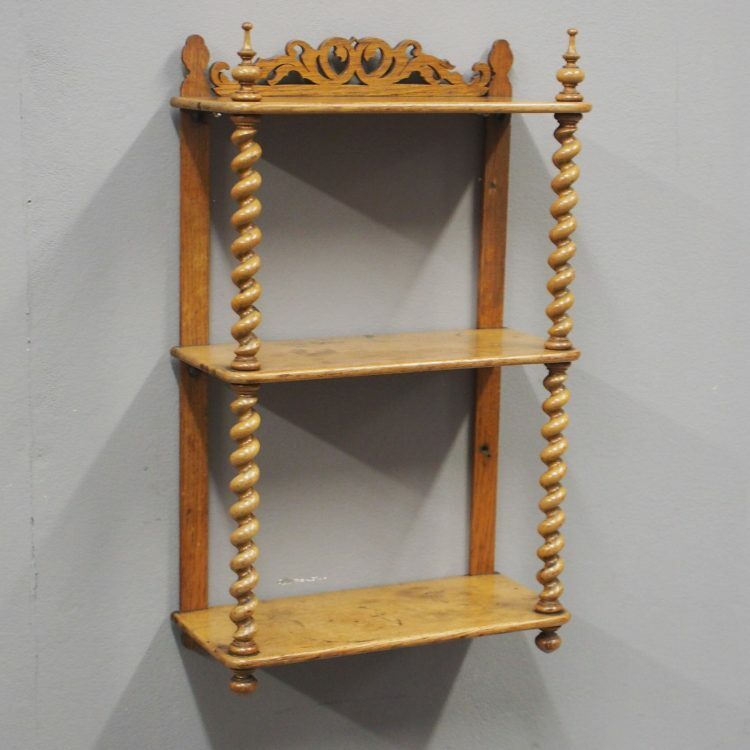 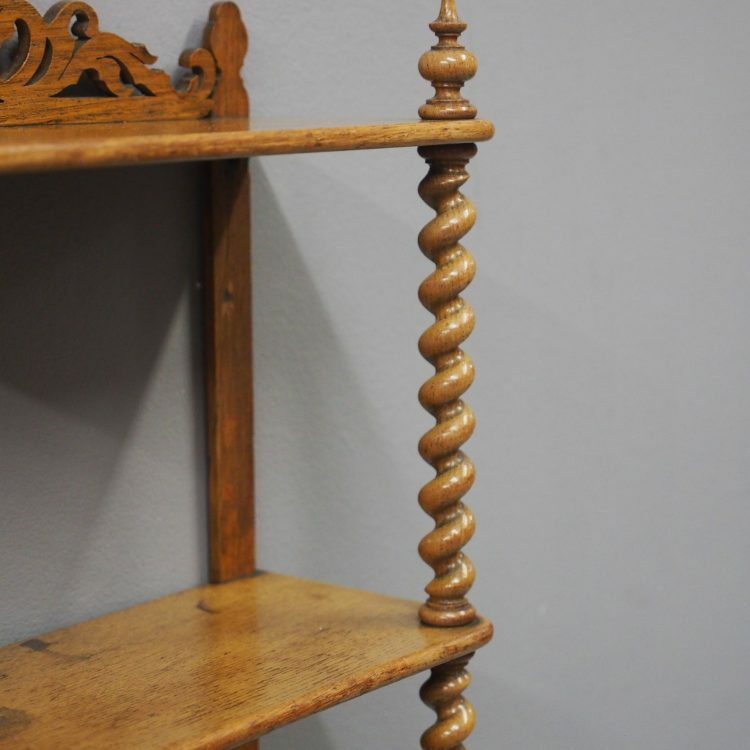 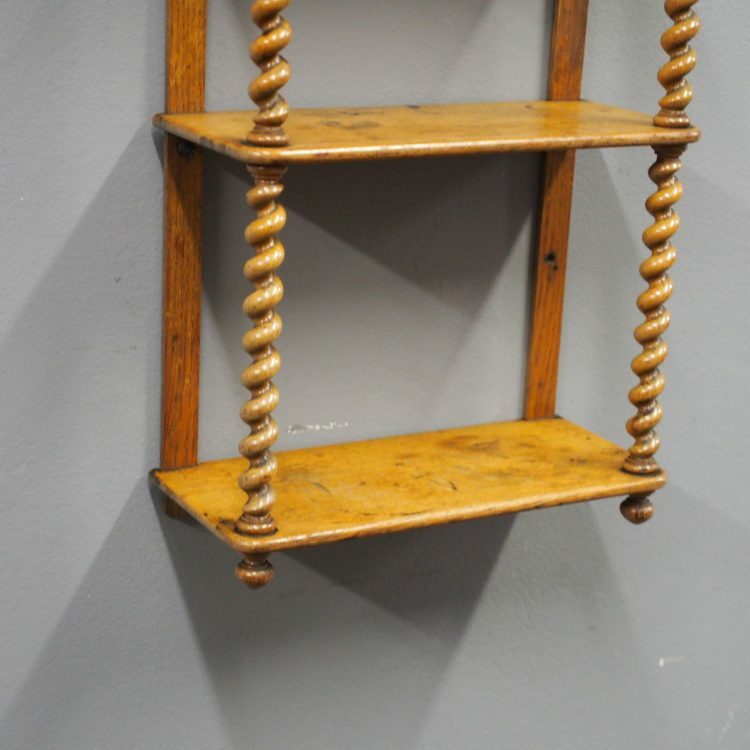 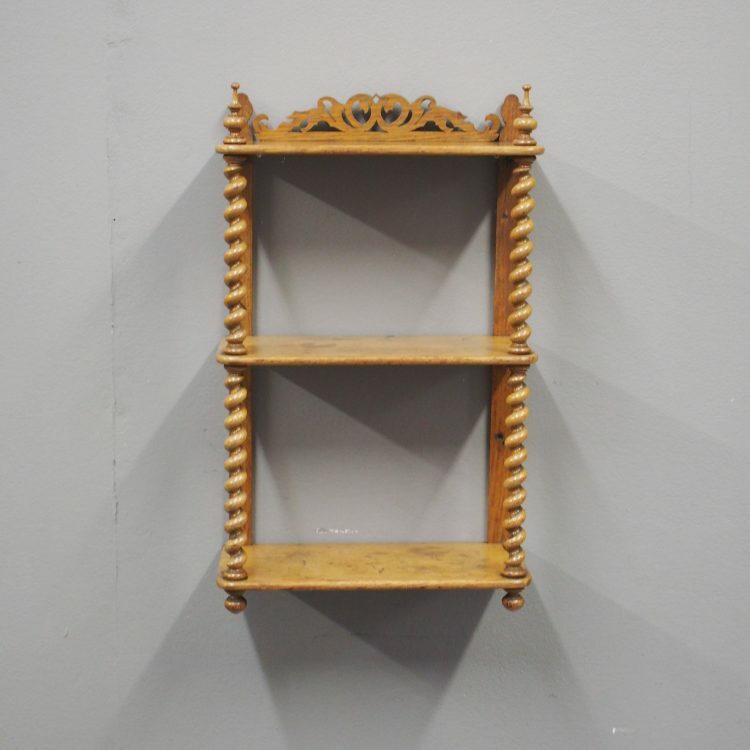 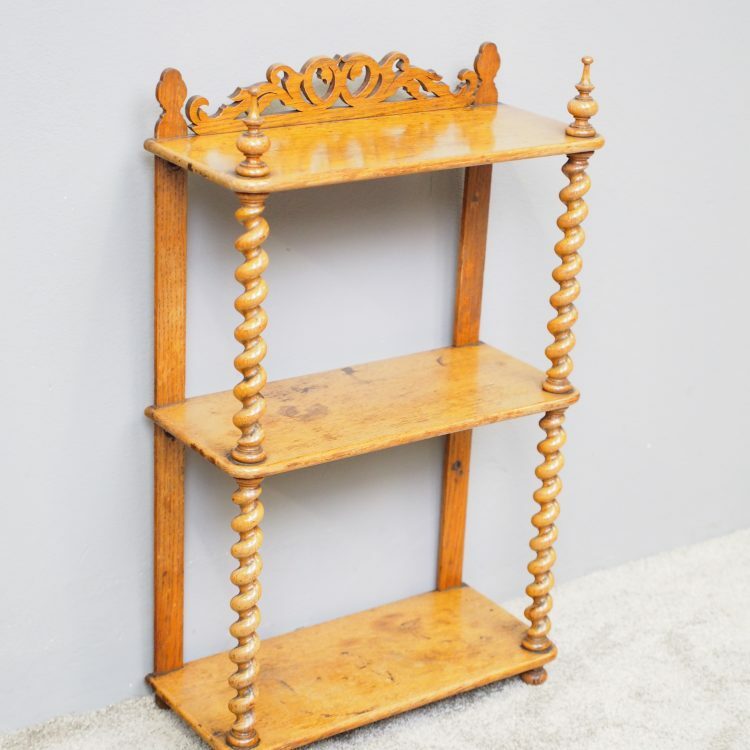 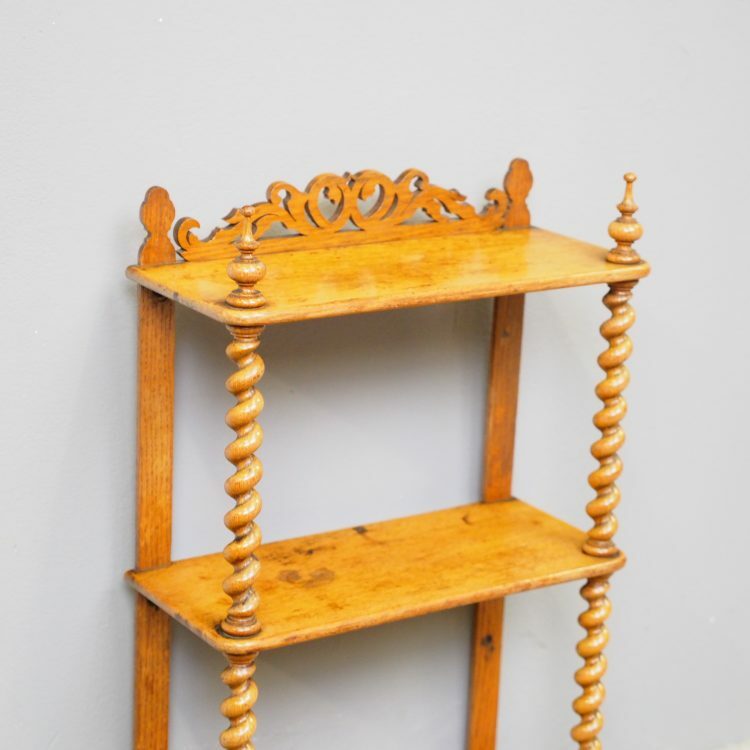 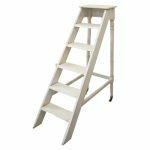 Circa 1870, unusual oak 3 tier wall shelf. 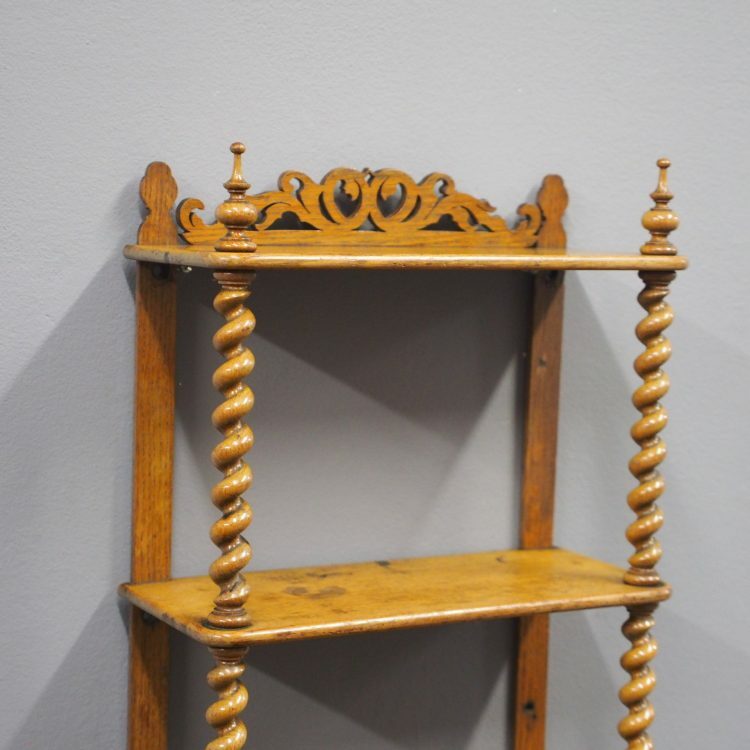 The top has finials and an open fretwork back, with barley sugar columns running down the front, connecting the tiers, finishing on squat bun feet. 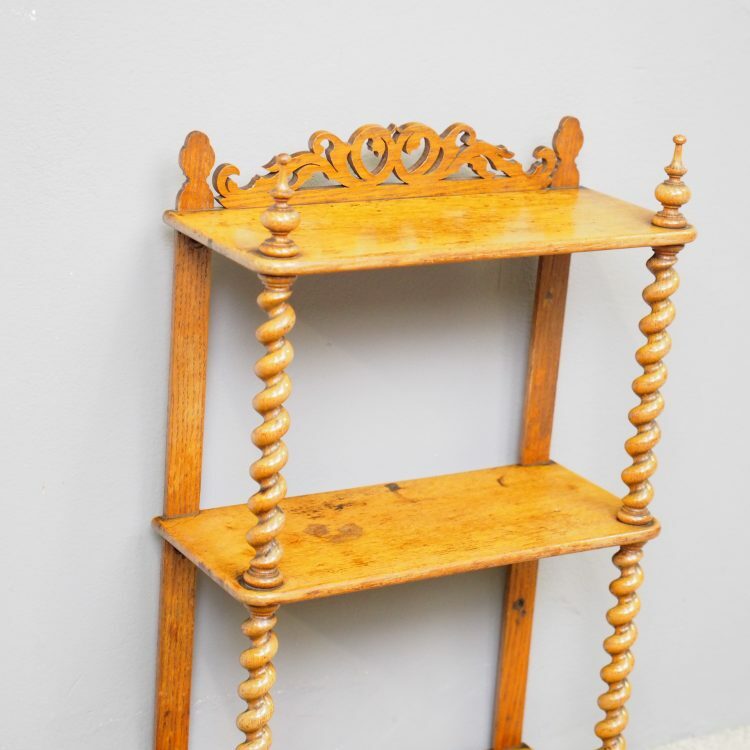 Could be used on a table top or hung on the wall.